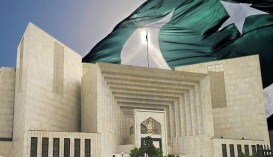 The Supreme Court of Pakistan has ordered union councils to start registering marriages of Christian couples. A three-member bench of the apex court, said the National Database and Registration Authority (Nadra) should issue computerised marriage certificates to married Christian couples. It also ordered the Punjab government to formulate and enact legislation in this regard. Initially the court had reserved its verdict on the case, with the petition stating that births of Christian babies were registered by union councils, but marriages were only registered with churches. In March 2017, Pakistan formally implemented the Hindu Marriage Act 2017, looking to protect marriages and safeguard the legitimate rights of Hindus in Pakistan.